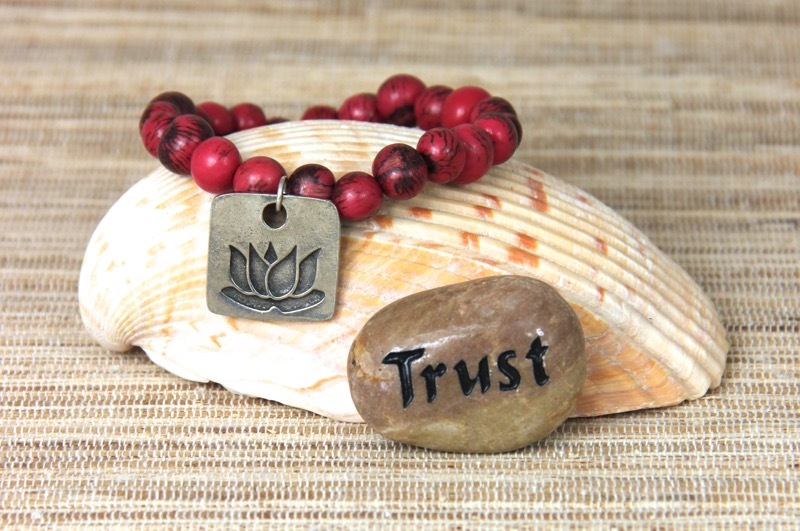 Stretchy bracelet with Lotus symbol accompanied with a Trust river stone. 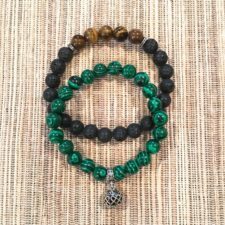 The hanging charm has the quote,” Through it all the lotus flower blooms”. 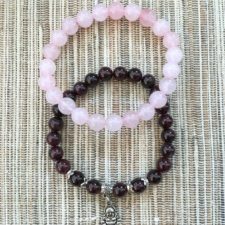 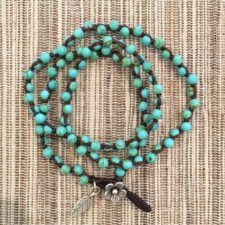 Colors of açaí beads and river stone will vary.